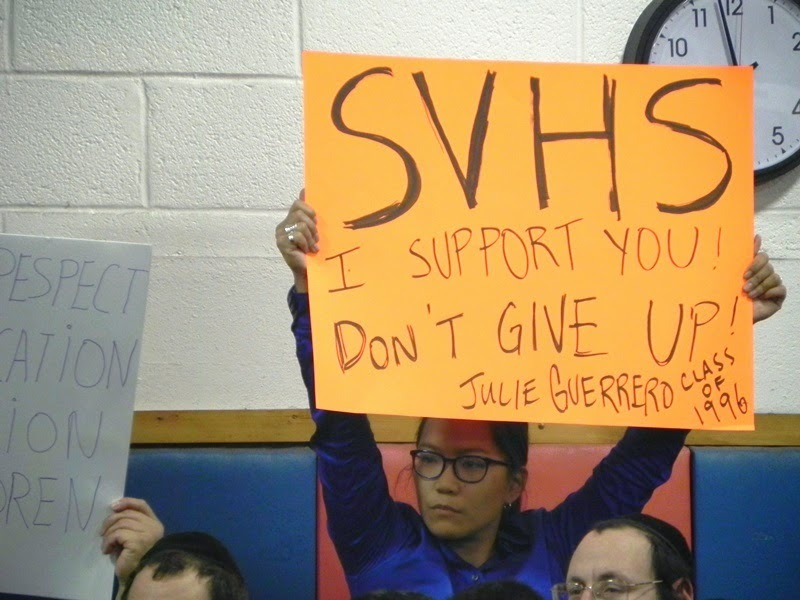 The East Ramapo School Board, dominated by yeshiva supporters, closed and sold Hillcrest Elementary School in 2010 to Yeshiva Avir Yakov of New Square (Hillcrest borders New Square). The NYS Commissioner of Education voided that action, saying “the board abused its discretion by hastily approving the sale” and “prior to selling Hillcrest in the future, the board must take reasonable steps…to secure the best price obtainable for Hillcrest.” The board then went on to rent the school to the same yeshiva, which was also challenged and the lease was annulled. During this period of time, the NYS Attorney General was alerted by activists to fraud in the appraisal used by the district, and the appraiser was arrested. The board sued the NYS Education Department and proceeded to sell the school again to a mysterious entity. It turns out this entity was incorporated the same day they made a bid for the school, and then withdrew their bid, activating a clause in the lease (yes, the lease the state annulled) which allowed them to give the school to the yeshiva for the same price as the mystery bidder. The board did all this while the fiscal monitor was doing his investigation, while the appraiser was being convicted, and while the Attorney General’s investigation into the first sale was still ongoing!!! Now the parents and taxpayers have had to intervene again, calling on the State Education Department to annul the sale yet again. The school board is proposing to borrow millions of dollars. They are claiming this money will be used for repairs to school buildings and grounds. Specific details are available on the district website.There is no doubt that repairs are needed, and yet many are hesitant to authorize more taxpayer money be given to this board. The last two board members elected with any support from the public school users resigned, citing incomplete or inaccurate financial data, budget analyses, cash flow data, and borrowing requirements, and incorrect reports from the treasurer. Moody’s Investors Service has downgraded the East Ramapo school district’s debt rating to two steps above junk status. Fiscal Monitor Henry Greenberg recommended that “not one penny” should be given without oversight. All of this could have been avoided if the state had responded to the issue of “governance without consent of the governed” back in 2008 when we first wrote to them. The Education Department and the Board of Regents have been ignored by Governor Cuomo, Speaker Silver, and Senators Skelos and Klein. They were in charge while this ship in their fleet was sinking, and while the ship’s captain was busy punching holes in the hull. 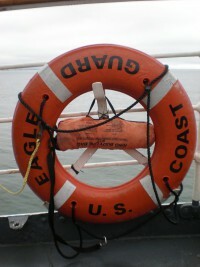 Now someone has got to fix the ship to save the passengers, but ought we not decommission the captain first? A very important opinion was published in the Journal News today. It represents the voices of our activists and leaders who are calling on NY State to intervene. Even though the state is not ready to relieve the captain of his command (to continue our nautical metaphor) they may be ready to put a rear admiral on board to ensure the comfort and safety of the passengers. The letter is written by www.strongeastramapo.org. It calls on NY State to authorize a monitor with broad-reaching power. It says “Our students deserve leadership with vision, respect for their needs, and the proactive authority to set the direction of the district.” It defines the crisis as a civil rights issue. This will be the ninth protest in the series. There has been a protest with at least 100 people at every board meeting this school year. (even in the rain, even when the meeting was cancelled). If you have not been to one of these yet, come and see what you have been missing! We Demand Equal Education for All Children! Rev. Dr. Weldon McWilliams IV will examine the post “I Have a Dream” years in Dr. King’s life. After this speech, Dr. King slowly but surely becomes more disenchanted with the political, economic and social structures of the United States and begins to advocate for systemic change as opposed to mere integration. Come out to what is promised to be a dynamic lecture! Honoring the Life and Legacy of Dr. Martin Luther King Jr.
Join Us Monday: Rally for Respect! 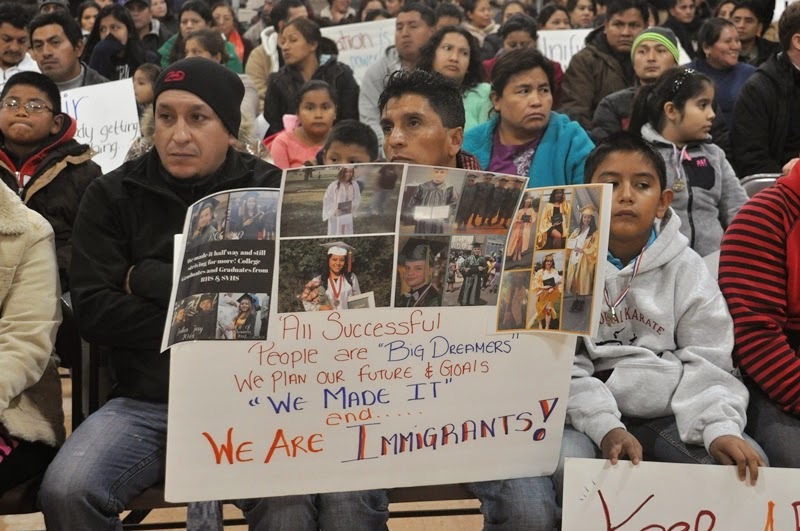 Latino parents and supporters have held protests at the past seven board of education meetings, even on two occasions when the meetings were cancelled by the board. This Tuesday would have been the eighth meeting, but it has been cancelled. That is right, three of the eight meetings this school year so far (37%) have been cancelled! Two letter writing campaigns have addressed the legislation currently being written in response to the fiscal monitors recommendations. If you have not participated yet, please do so now! The state has released the latest data, read about it in this Post by East Ramapo Underground.